Prisca Dorcas Mojica Rodriguez #HispanicHeritageMonth « Adafruit Industries – Makers, hackers, artists, designers and engineers! Prisca Dorcas Mojica Rodriguez is a chonga Mujerista that is destroying the ideologies of traditional feminism. She is so fascinating and her writing is absolutely worth your time. Prisca Dorcas Mojica Rodriguez was born in Managua, Nicaragua but calls Nashville, TN home. The bulk of her work is around making accessible, through story telling and curating content, the theories and heavy material that is oftentimes only taught in the racist/classist institutions known as academia. She a full-time writer and currently working on a children’s book because as a brown girl who never saw herself represented in this project she seeks to provide more representation for young black and brown girls. 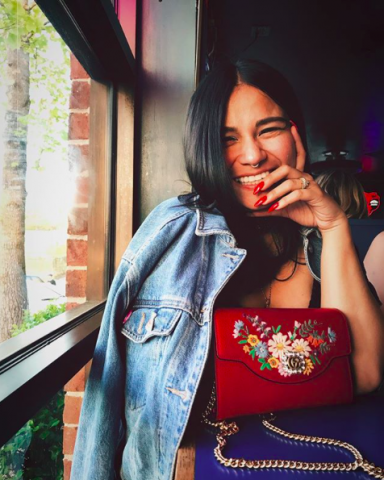 She started the platform Latina Rebels in 2013, and currently it boasts over 200k organic followers online. She has been featured in Telemundo, Univision, Mitú, Huffington Post Latino Voices, Guerrilla Feminism, Latina Mag, Cosmopolitan, Everyday Feminism, and was invited to the White House in the fall of 2016. She is unapologetic, angry, and uncompromising about protecting and upholding the stories of brown folks. Que viva la gente! Read more about her on her site and check out her writing on HuffPost and Vivala.